I am a minimalist and like to use whatever is on hand, but won’t compromise on efficiency and quality of the end product. Plastic is definitely not my favorite material, but in today’s life you cannot avoid it, so why not use it and save it from landing in the garbage bin and become part of the world wastage problem. 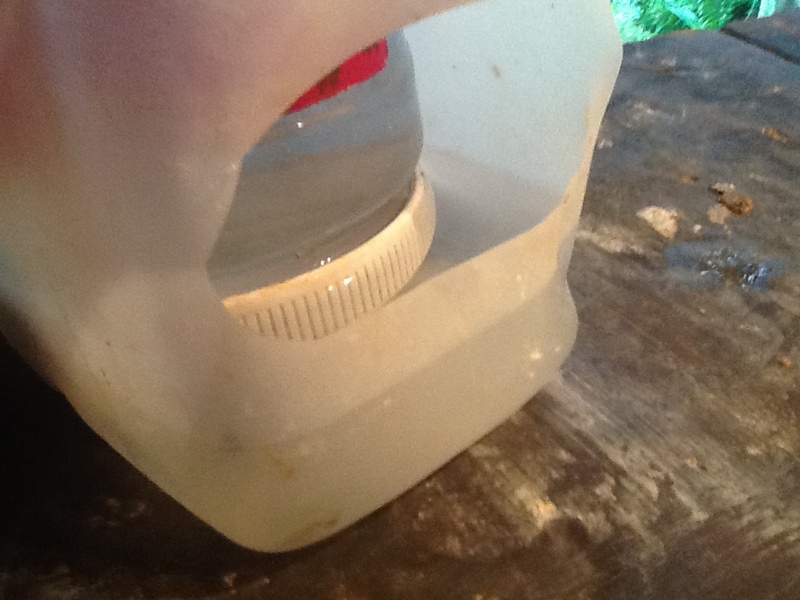 I use an old plastic milk and peanut butter bottle to make a very effective quail water drinker FOR FREE and in the process drastically reduced my carbon footprint. 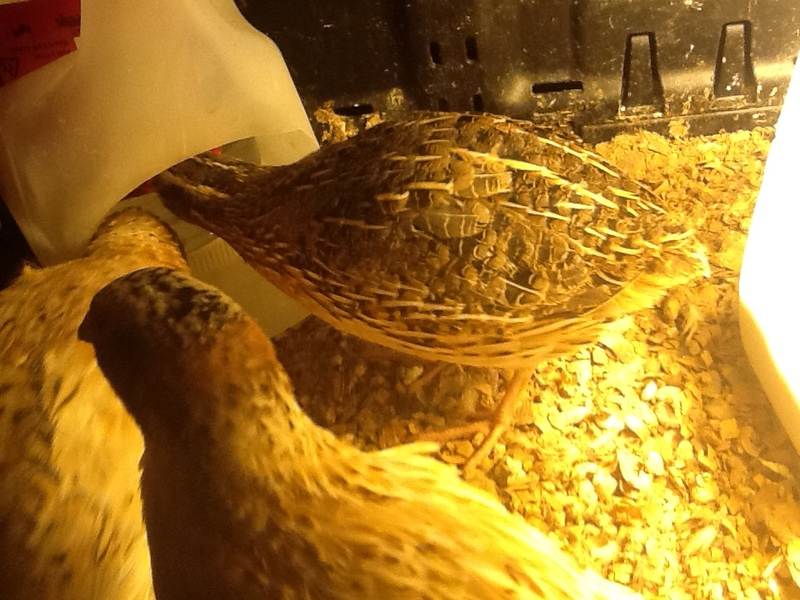 Knowing quail babies love to climb on and into everything and during the first few days are very clumsy and petite, I used this knowledge to make a quail water drinker that encourages the little quails in the beginning to climb into the drinker to make water consumption easy, without being able to drown, get wet or get stuck in a corner. 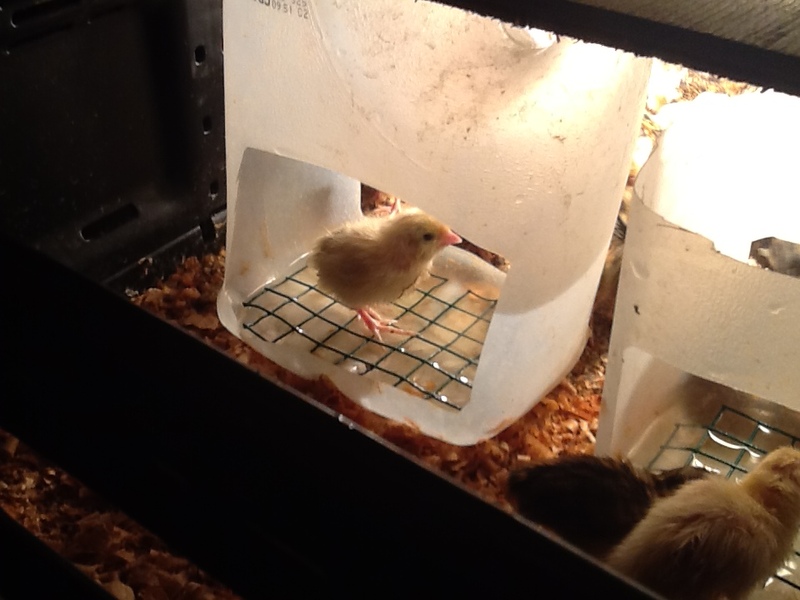 When they are a few weeks old and know their way around the brooder and eat and drink freely, I switch to a drinker that they cannot get into and spoil or soil the water. 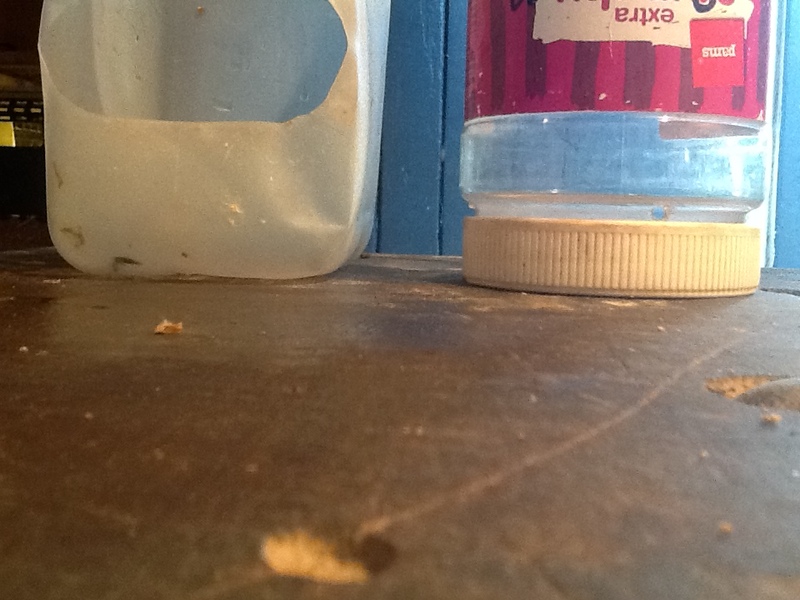 Use a milk bottle and cut a large enough hole into both sides so the baby quails can freely enter and exit. 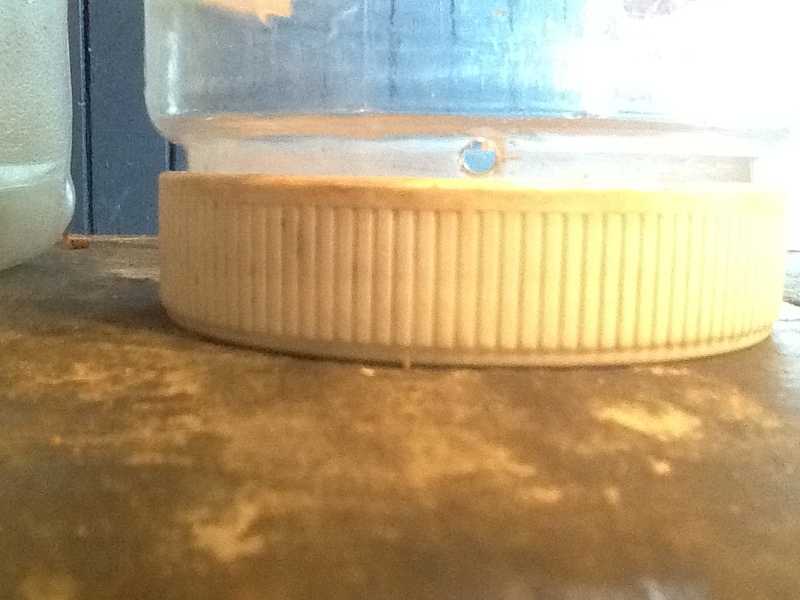 Place a piece of wire netting (leftover from the last cage you built) inside to fit well with the sides turned slightly down so the netting is about 5 mm off the bottom of the bottle. Fill with water until the water touches the netting and you are ready. 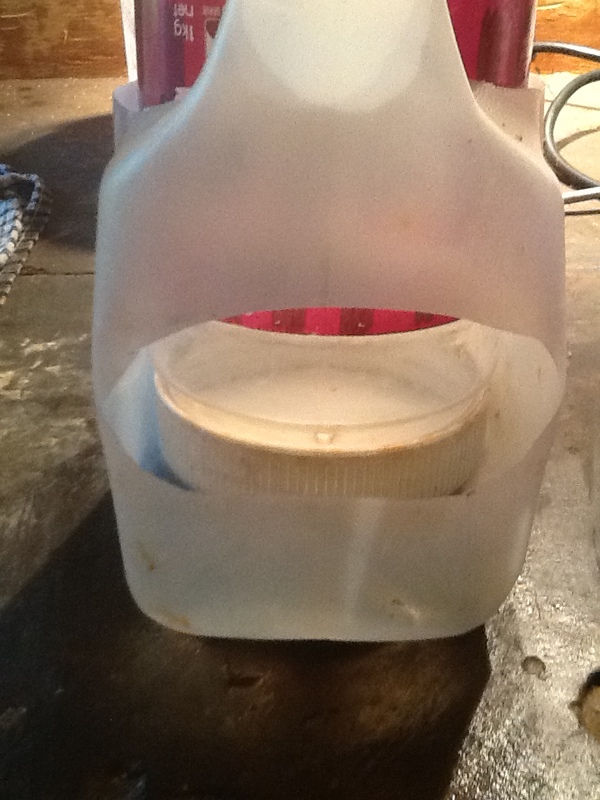 Cut the top off the milk bottle to make cleaning easy. 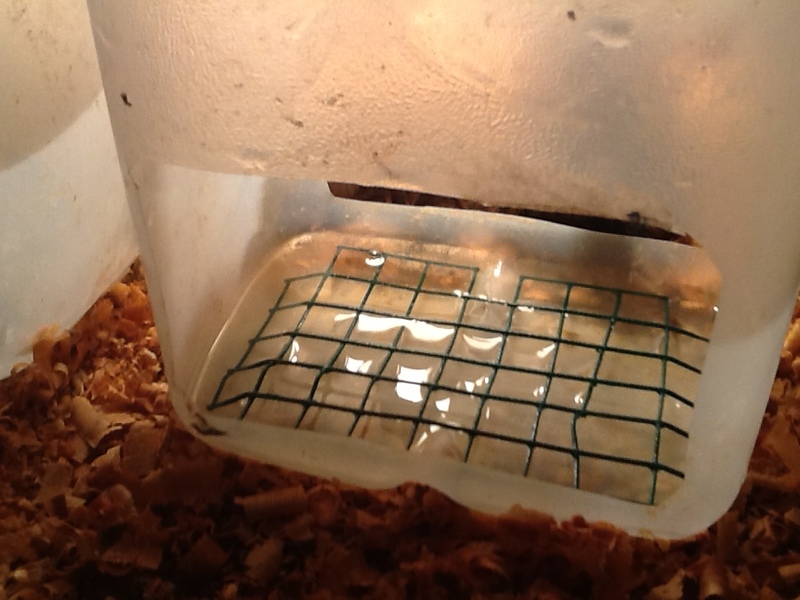 This will encourage the little quails to enter without any risk of drowning or getting wet. Take used Milk and Peanut Butter Bottles. Any other bottle will work as long as it fits tightly inside the milk bottle. Cut off the top of the milk bottle. Cut a oval hole in the side small enough so a quail cannot enter it’s body, but large enough it can poke it’s head through – about a 30 mm opening and about 50 mm off the bottom. 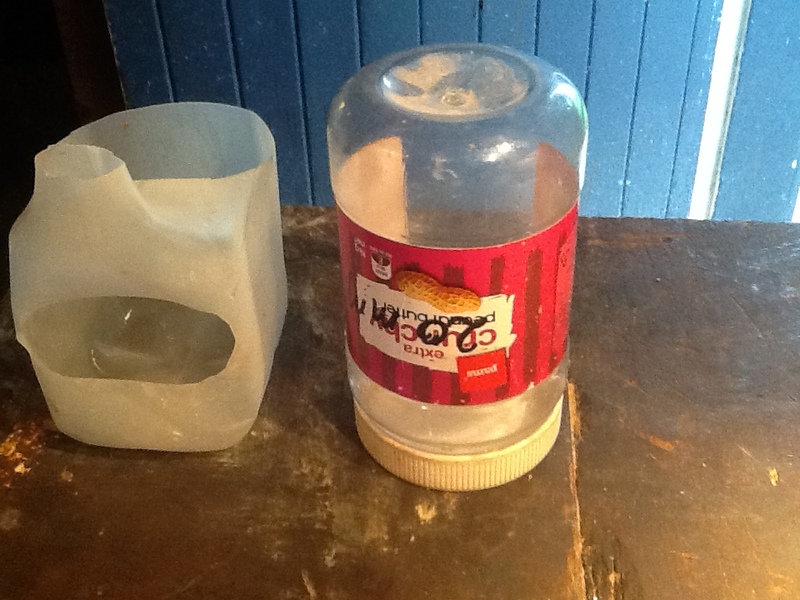 Fill the Peanut bottle with water replace the lid and turn upside down and insert into the milk bottle. 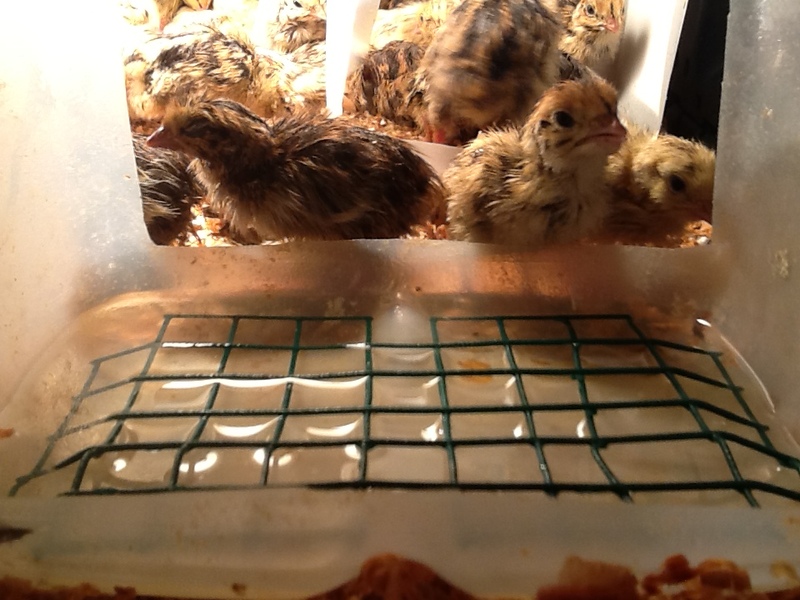 Happy Quails and Happy Farmer ! !